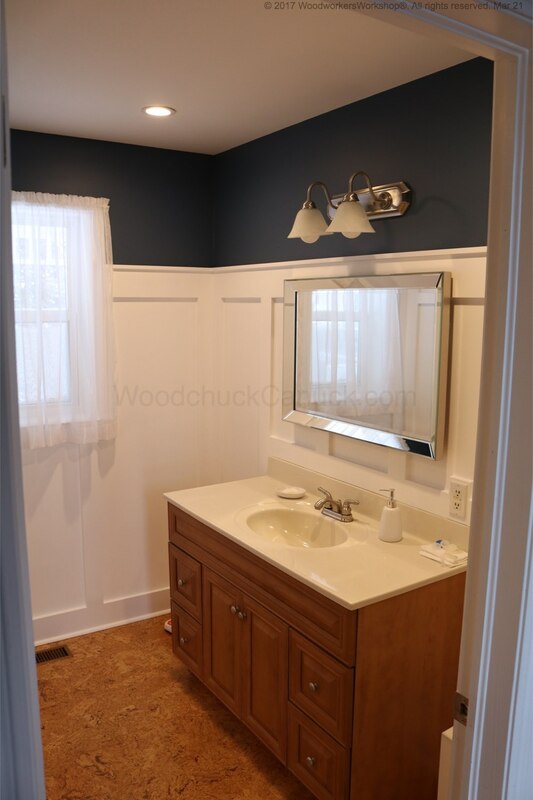 A little bit of weekend sweat equity and about $500 in materials brought a nice update to the bathroom. 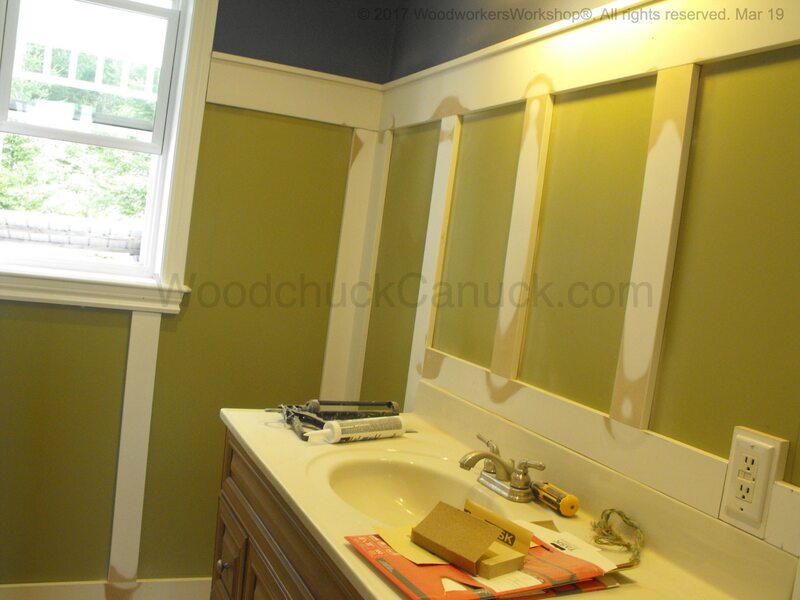 Some paint colour changes and an installation of Shaker room batten style trim work. 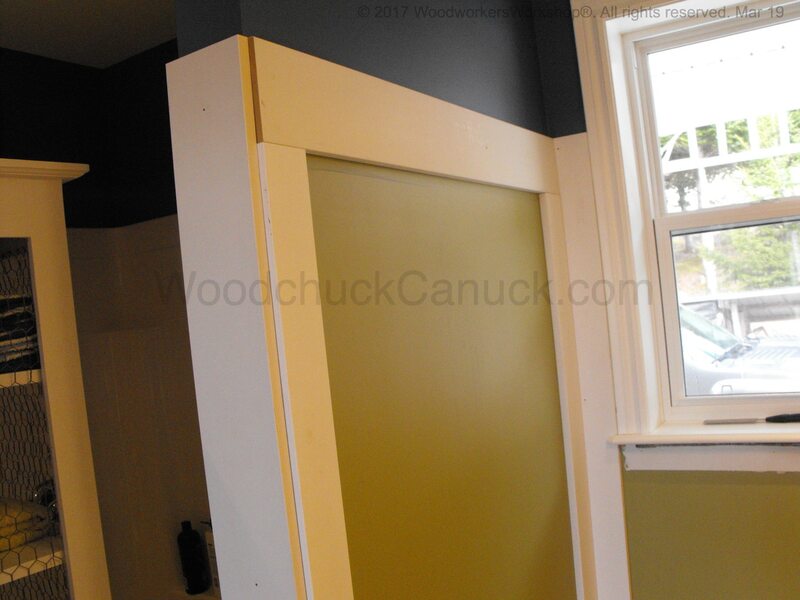 With the bottom trim in place, its time to cut out a section of the standard door trim to install a custom sized plinth block. Here I am using a Japanese pull saw that has teeth set to one side of the metal blade. This allows for a flush cut. Typically this type of saw is used for trimming off wood plugs that are installed over counter sunk screw heads. On this corner under the window we had to take some time to figure out the best look for positioning the boards. With a little back and forth with ideas we came up with a solution to work on. Top trim and corner detail. 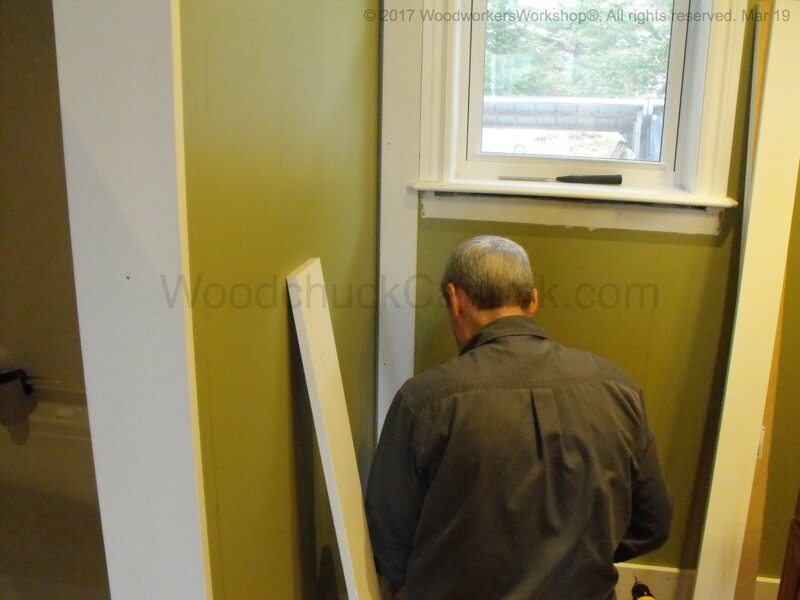 The next set of decisions for installing the trim work was for this end wall. The initial idea I had was to install the end board (shorter than what you see in the picture above) and then wrap the top board around the corner. Once it was installed we looked at it again and Gina opted for a full board (as shown). That was the right decision to make. So before the glue was dry, off came the board and that one was installed. 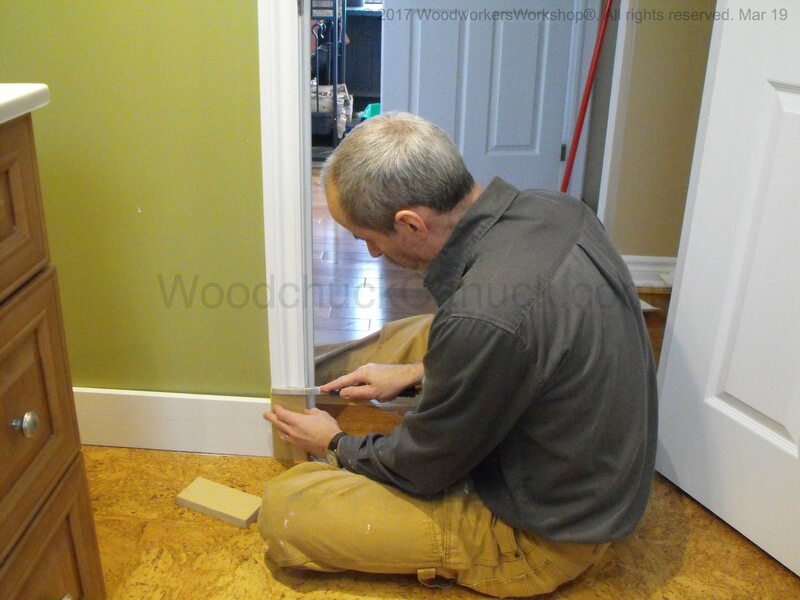 With the trim boards installed it was now time to prepare the joints for filler. I could of just not bothered to sand. I could of just used multiple coats of filler. 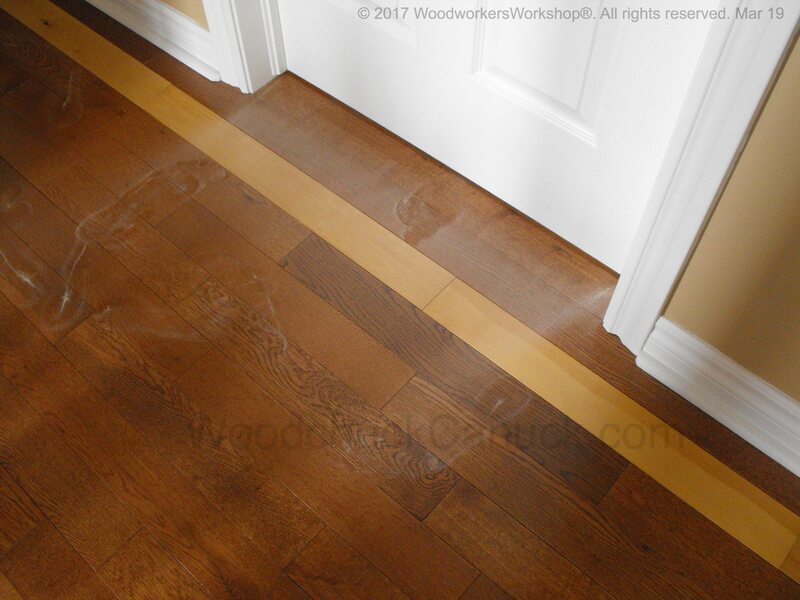 But the previous trim work I did in the basement gave me the experience to know that short term pain (sanding and dust) is better than having to look at uneven surfaces later on. With the door closed and window open, I used a ROS (random orbit sander) with 100 grit paper to knock down the joints of the MDF. I used 100 grit on the MDF because MDF is hard material. If I was using a softwood like pine I probably would of used 120 or 150 grit. Lesson learned, I should of put a cloth down on the door gap. With the bathroom window open and other doors or windows in the house being open, air easily moves around and takes the dust with it. The next couple of days involved painting. The trim work was pre-primed so it only required two coats of paint. The green walls required 3 coats of paint. We used the Manor Hall paint, with satin finish. Its not a paint we would use again, as we did not like the finish once it was dry. 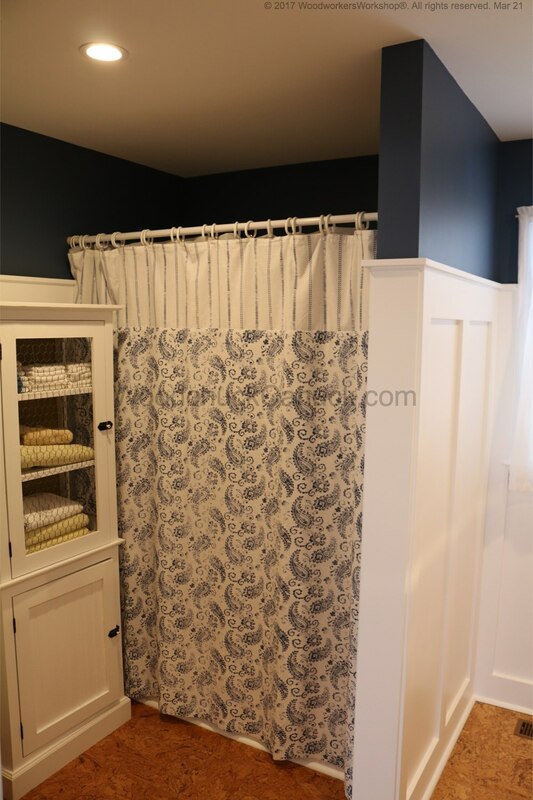 I don’t think it is going to be durable enough for a high traffic area like a bathroom. Time will tell. Other than that, we are happy with the outcome. If you have any questions or comments feel free to contribute below.